I had a dream all my friends reviewed me on Yelp! I was with a couple of friends, having lunch, and one of them said they saw me on Yelp! This friend said I had lots of negative reviews, and some of the comments were not pleasant! My nightmare, unfortunately, is why some business owners seek our services at Local View. You see someone tells them they searched and found negative reviews of their company on Yelp, Facebook, Trip Advisor, Google, or some other unknown review site they didn’t even know existed! This dream may help you manage your negative reviews! A good reputation does not happen overnight, and with the growth of social media, online reputations can erode quickly because of the time it takes to manage it. Also, because there are so many review sites, business owners often struggle monitoring their online reputation. Here is a short list of 19 review sites from Hubspot marketing. It’s hard work to provide great customer service. It’s also hard work to set up the procedures to keep good service consistent over time. And now having to manage negative reviews can be a part-time job! So why not let us work for you to manage, increase, and promote the good online reputation you work so hard to keep? So, avoid the nightmare and have our team, with our software, manage your online reputation! 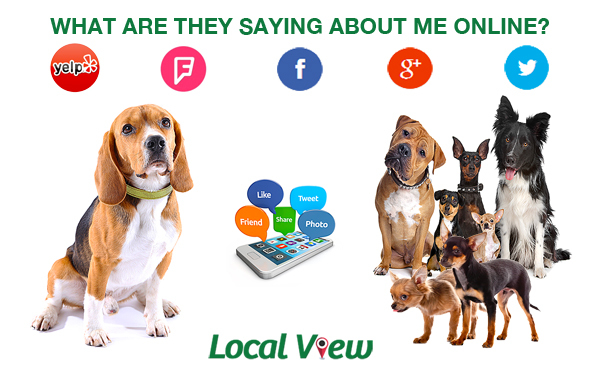 Copyright ©2019 Local View Digital Marketing >> Home » Archive Page » I had a dream all my friends reviewed me on Yelp!